If you’re looking for your husband, you might find him in the department store. In a new year with new trends, 2019 is already showing a shift in the public relations and marketing industry, from who’s doing the shopping, to a growing theme of brand social activism as yet another government shutdown looms. Read on to learn more about January’s top news and trends. Women have traditionally been more avid shoppers than men, prompting many retail marketers to focus on females as their primary marketing and advertising audience. 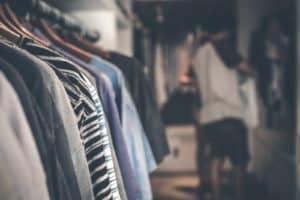 However, new research from tech retail firm First Insight suggests that men in general may be shopping more than their female counterparts, both in-store and online. The report found that men are shopping more than women on Amazon, in mass departments stores and in luxury stores. So yes, the man in your life has been using your Amazon Prime account. Why does it matter if men are the next shopaholics? Historically, women have influenced an estimated 85 percent of consumer purchasing decisions and accounted for $7 trillion in annual spending. This heavy female-skew influenced how companies positioned their marketing strategies and brand stories. This potential gender shift in consumer habits may prompt brands to rethink their marketing and targeting strategy. This increase in male shoppers, specifically on Amazon, also points to how shopping has fundamentally changed over the past few years. The digital marketplace makes it easier for consumers who value convenience to find and order what they need quickly and efficiently. This shift may also be partially explained by the increase in specialty options for men over the past 10 years. The partial government shutdown dominated the news cycle for good reason – an estimated 800,000 federal employees had not been paid since the government shutdown began, some before Christmas. Many brands responded to the crisis, offering free meals, financial services and even entertainment to affected government workers. 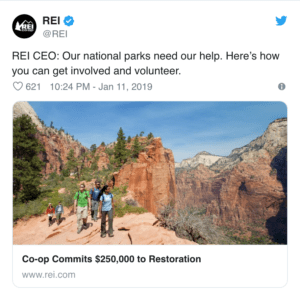 Outdoor brands like REI and North Face took a different approach and pledged funds towards the upkeep and restoration of national parks, which saw trash pile up and vandalism when the shutdown extended into consecutive weeks. This trend points to the shift in brand’s being less risk averse towards commenting on social and political issues, as Nike demonstrated last year. When done well, cause-driven marketing rings genuine with consumers and may impact purchasing decisions (for better or worse). We predict 2019 will be a year of more brands taking a strong stance on seemingly controversial issues and prompting conversations that could either polarize or endear themselves to their audiences – and we’re all for it. It’s no surprise that people are cutting the cord and canceling their cable and satellite television subscriptions at alarming rates. As streaming’s popularity continues, some are questioning the relevance of traditional advertising in the on-demand marketplace. And as the streaming space gets more crowded (hello Disney), many wonder how the advertising industry will react. Brands will face a larger array of streaming platforms to choose where to spend valuable ad dollars, which may indicate which of these streaming services has true staying power. In 2018, over-the-top ad revenue reached an estimated $2 billion, a 40 percent increase from 2017. 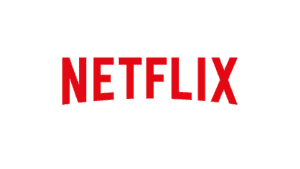 This huge shift leaves advertisers brainstorming the best ways to reach streaming audiences, as traditional commercials are rarely going to cut it. Marketers need to consider more innovative options like in-app advertising and partner activations that can be bolstered on social media. Traditional television challengers, like YouTube, the second most popular search engine in the world with 95 percent advertising viewability, are also threatening cable’s future. With more people abandoning traditional entertainment options, citing reasons like convenience, cost effectiveness and better content, the decline of television advertising seems inevitable. That’s a wrap for our January trends! Interested in learning more? Check out past posts on Proof Strategies’ blog for more industry news and trends. Allison’s love of digital marketing and creative strategy makes public relations a perfect fit. 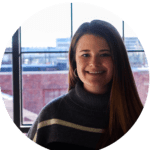 A recent graduate of Washington and Lee University, she spends her time outside the office exploring Washington DC and scouting out the best pizza in the city.